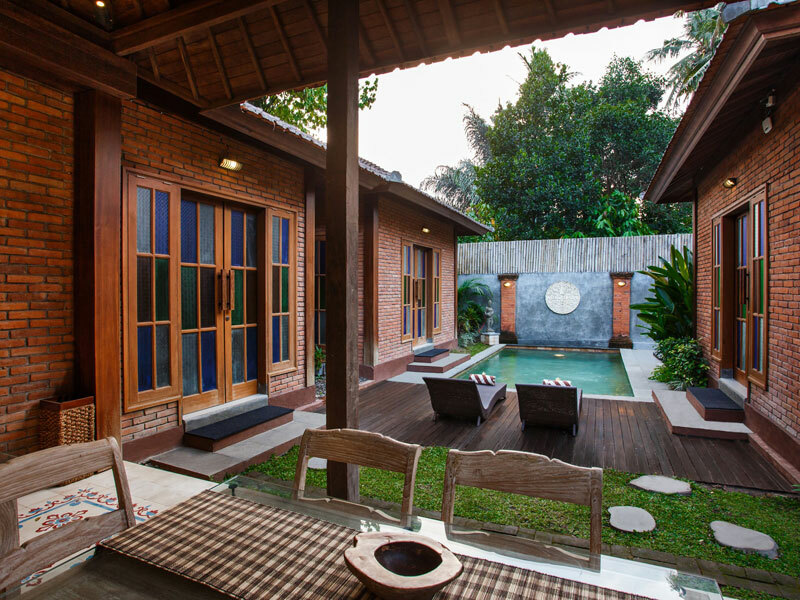 Enjoy the stay in this traditional Balinese 3 Bedrooms Villa in Ubud. 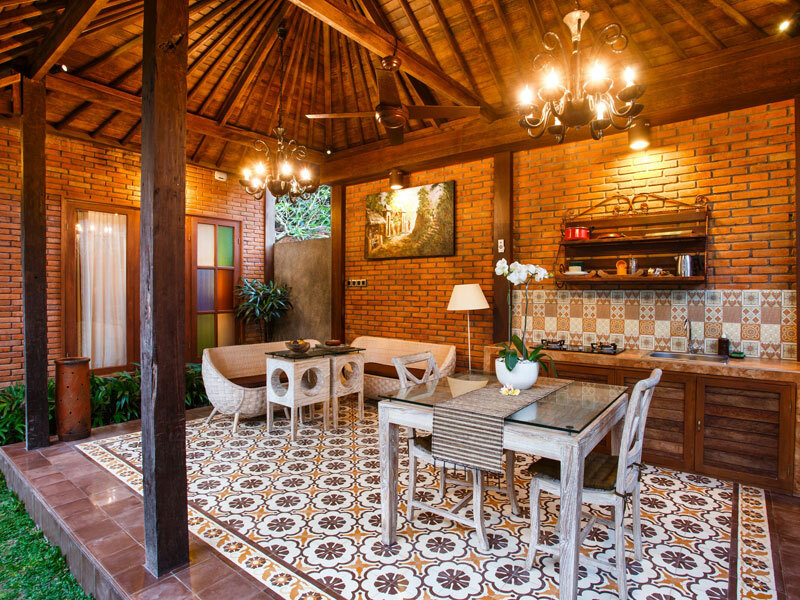 With the perfect ambiance, the villa will be a perfect place for you and your loved one to stay. 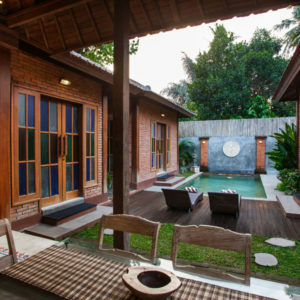 Equipped with private pool, for relaxing day with the perfect Bali atmosphere here in Ubud Raya Resort. 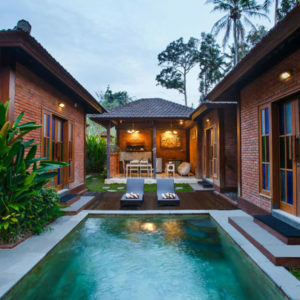 Consisted of 3 Bedrooms, each of the Villas have a master bedroom available with walk-in wardrobe, open-air en suite bathroom, bathtub, shower, toilet, hot and cold water swimming pool along with Balinese gazebo overlooking magnificent tropical garden. 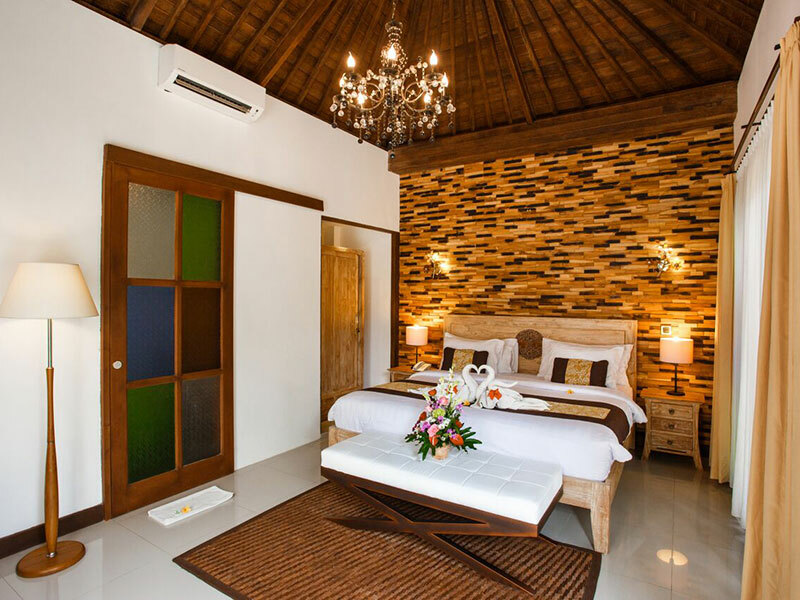 Each of our room is equipped with mini bar and satellite channel television. 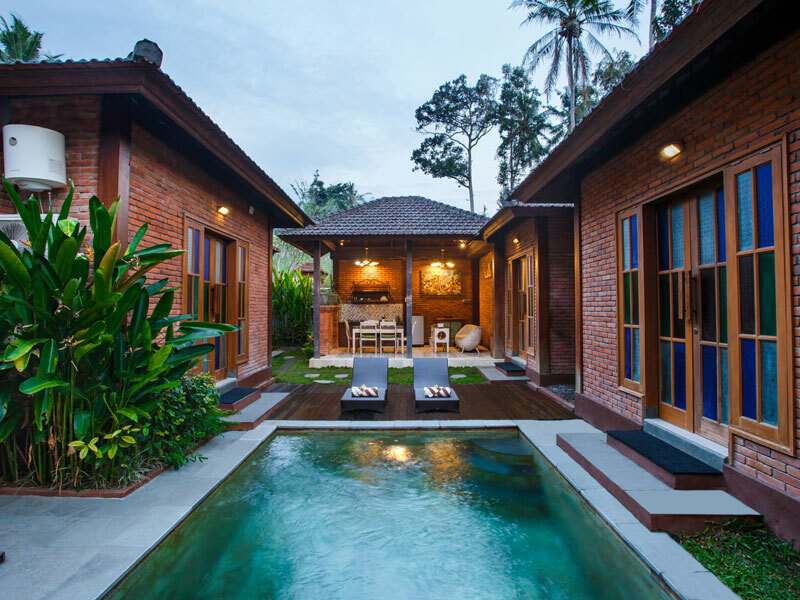 Our roof is made from the best materials of the mat at the inside part, while modern style roofing is applied at the outside part of the roofing. 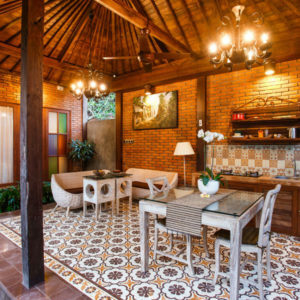 The furniture is especially dominated by rattan and teak wood. 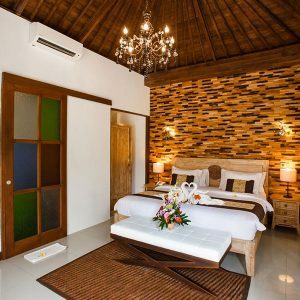 We use only the local materials used that are eco-friendly, and electricity is using save energy electricity system.